HRWorldnet is a global executive recruitment firm built by experienced hospitality industry professionals. We have managed the operations of some of the world’s premier hotels, resorts, and restaurants so we understand hotel and restaurant operations, talent management and team-building, good leadership skills and best-practices, and how to find the right work-life balance. We know that it’s not easy. HRWorldnet provides ‘one-on-one’ coaching services specifically designed for hospitality professionals and executives. Drawing on our extensive experiences and expertise, we strive to enhance the value of your asset and help you achieve your goals. We can help redesign a company’s organizational structure, observe and offer solutions regarding executive management, and assess staff competencies. HRWorldnet also provides dedicated on-site consultants to understand the problems that you face and the goals you want to achieve, assess the best strategies and processes to implement, and guide you towards achieving your goals. 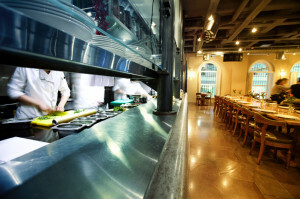 We understand the complexities and hurdles a successful hospitality company faces. Let us help you build a better understanding of the problems you face and find the solutions that work.